How would you like to prettify your room with decorative pin boards? This pin board only costs $20.50 from PBteen. Pin Boards come in 3 sizes and can easily stick on flat surface walls. 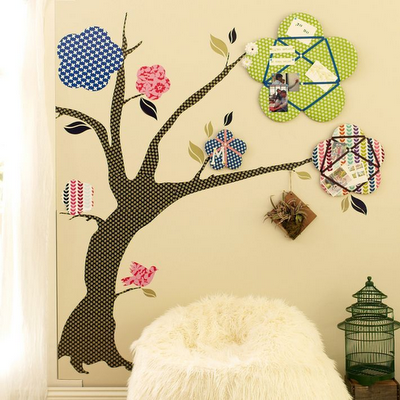 The accompanying tree decal is included in the package. It's self adhesive, can be repositioned and peel off without damaging the surface of the wall. I think it's a cool way to decorate your girls room and a colorful and fun way to show off those lovely photos.